Almost two weeks after Mollie Tibbetts was last seen, authorities say they have not identified the reason for the disappearance of the 20 year old. 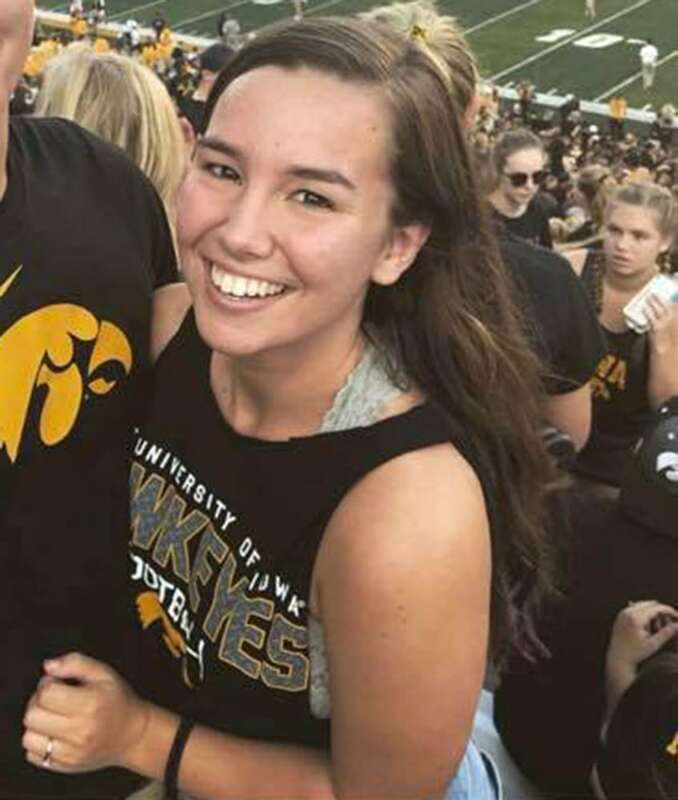 The University of Iowa student was last seen jogging around 7:30 p.m. on July 18 in Brooklyn, Iowa, authorities said in a press conference Tuesday. Family reported the rising college sophomore missing the next day after she failed to show up to her summer job at a day care. Authorities say those searches have included ground, air, and the utilization of K-9s. Police say that while they have also interviewed numerous people to gain information about the night of Mollie’s disappearance, their investigative efforts have focused on many elements. Mitch Mortvedt, Assistant Director of Field Operations at the Iowa Division of Criminal Investigation told NBC affiliate KWWL that authorities are also investigating Mollie’s digital footprint, including a Fitbit family say she would have been wearing the night she disappeared. "We're combing through all types of digital evidence that Molly had and utilized. She's 20 years old. She's a college student. She's well-connected," he told KWWL. NBC News has previously reported that Mollie sent her boyfriend, Dalton Jack, a Snapchat around 10:00 p.m. the night she disappeared. On Tuesday, investigators declined to comment on details surrounding the Snapchat, but did confirm they were looking into all of her social media accounts. 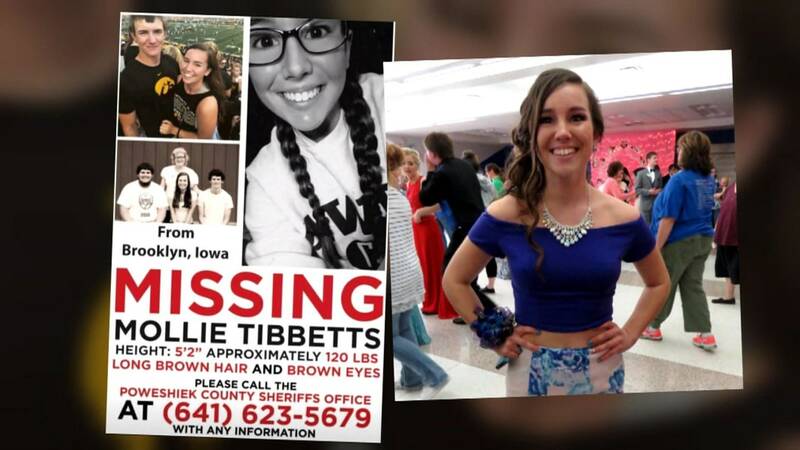 Mollie’s boyfriend Dalton told authorities he was working at a construction job more than 100 miles away in Dubuque, Iowa the night Mollie vanished. Director Winker confirmed Tuesday that Mollie had been dog-sitting for Dalton at the house he shares with his brother, but declined to comment on whether Mollie was last seen along her running route, or if they believe she returned to Dalton’s house before she vanished. “We do not plan to provide findings or conclusions of investigative leads to the public at this time. Likewise, if we evaluate a piece of information and feel like its release could lead us to Mollie, we would do so,” Director Winker said. NBC News reached out to Dalton Jack and his family for comment, but had not heard back by Wednesday afternoon. Mollie’s brother, Jake Tibbetts, a rising senior at the University of Iowa, told Dateline he also has “never had a problem” with Dalton. Alexis Lynd-Schafbuch grew up with Mollie in Brooklyn, a town of about 1,400 people. They navigated their way through middle school and high school, Alexis said, participating in choir, track and school musicals together. “It’s so hard to explain her, because she just seems so perfect -- that she doesn’t seem like she’s real. But she really is,” Alexis told Dateline Wednesday. “That’s why so many people looked up to her. She was the kind of person I would go to with personal issues,” Hope told Dateline Wednesday. 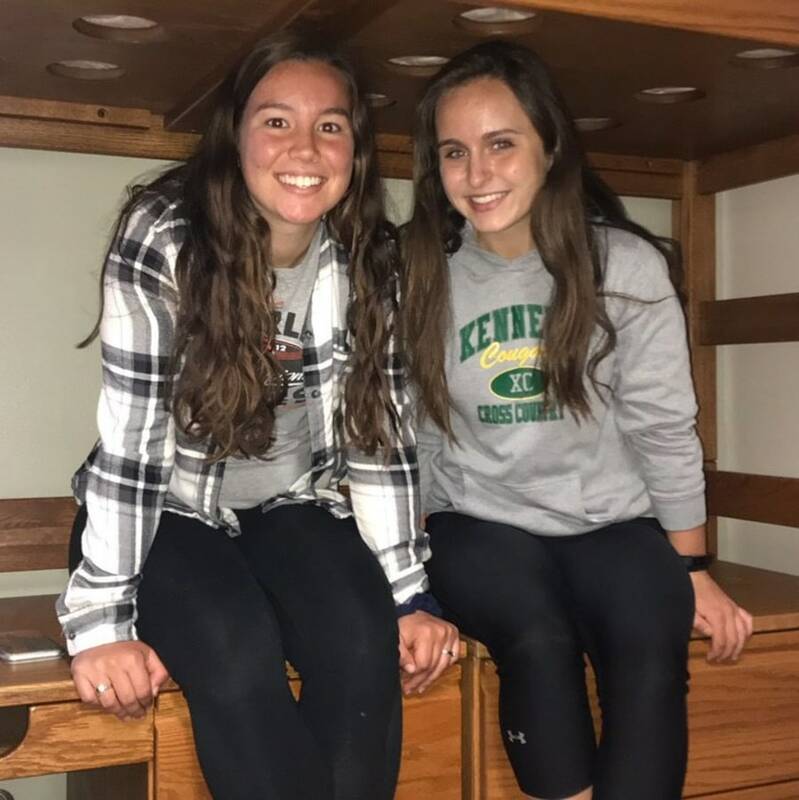 After meeting Mollie in a University of Iowa Class of 2021 Facebook group, Ali Meyer lived with Mollie in a dorm room last year during their freshman year. “Mollie and I -- we got so close. We ran together all of the time and we had dinner together at least 5 times a week in the dining hall,” Ali told Dateline. Ali said Mollie’s boyfriend Dalton was always a “good guy” when she saw him with Mollie on campus. At Tuesday’s press conference, authorities declined to comment on whether they do have a person of interest in mind. Mollie’s father Rob, who lives in California, flew in to help search for his daughter. 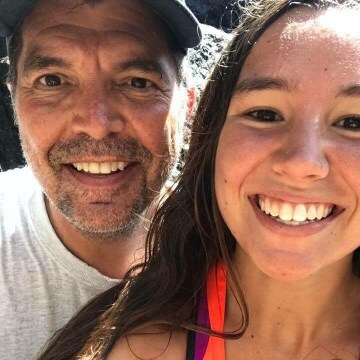 “Everybody thinks their own children are exceptional and extraordinary -- and we certainly think that about Mollie -- but when we found 400 people showed up spontaneously the morning after she went missing to help search for her, it was clear how much other people love Mollie, too,” Mollie’s father Rob told Dateline. Mollie’s friend Hope told Dateline she was one of the of people who showed up to search for Mollie the day after she disappeared. Public searches for Mollie have now been called off, but authorities say their focus is still finding Mollie. Mollie’s father Rob told Dateline the most important thing is for the public to call police if they saw anything out of the ordinary in the days surrounding Mollie’s disappearance. “I ask people to keep their eyes out, and if they have any information to tell the authorities,” Mollie’s friend Hope told Dateline. While authorities declined to classify Mollie’s case as an abduction, friends and family say there is no way she walked away on her own. Mollie’s father Rob said when he last spoke to his daughter on the phone on July 15, nothing was out of the ordinary. “She was talking about how she loved her job at the day care. She had had a great summer. She was very, very happy and optimistic about going back to school,” Rob told Dateline. Mollie’s college roommate Ali told Dateline she and Mollie have already signed a lease on an apartment for the upcoming school year. As she prepares to return to the University of Iowa in a couple of weeks, Ali says she isn’t sure how it will feel if Mollie isn’t there with her. “That will be weird. I’m not sure how going back will be,” Ali said. Mollie’s friend Hope is also preparing to go back to college herself. “I just am hoping that Mollie is able to come home, and how I feel will be better by the time I go back [to college],” Hope said. Hope added that, since most of Mollie’s Brooklyn, Iowa friends are home for summer vacation, they’ve tried to help each other get through this unimaginable situation. "I’d just like everyone to think of her as if she is your daughter, your sister, or your friend," Alexis continued. "She is just like everyone else who has all of these plans." Rob said that while his daughter studies psychology, writing poetry has always been one of her passions. Rob says that Mollie gave the “best man” speech at his wedding in June. And while he described his daughter as a “poised and gifted public speaker,” he says one of her unique talents is how she shines the spotlight on other people. “When she walked into the room, she had a gift of making everyone else in the room the center of attention. She asked them questions -- it was never about her. It was very impressive and very noticeable,” he told Dateline. Ali told Dateline that if something did happen to Mollie, she has no doubt she would have fought to defend herself. Authorities said Tuesday that, going forward, they plan to hold press conferences more frequently to update the public and the media on the status of their investigation. The next press conference is scheduled for Friday, August 3. On Wednesday, family announced a $30,000 reward for Mollie’s safe return. The Facebook post announcing the reward says a donation agreement is required. 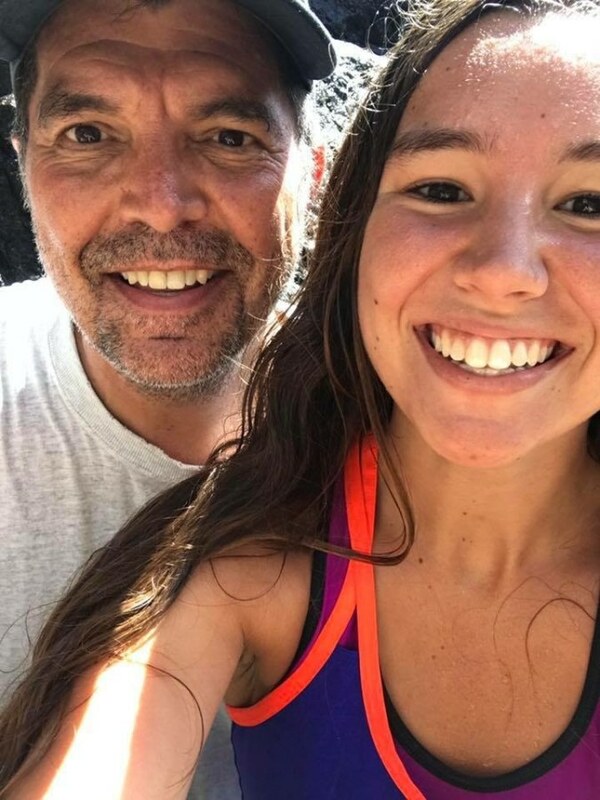 Crime Stoppers of Central Iowa has also offered a $1,000 reward for information leading to an arrest in the case or the discovery of Mollie Tibbetts. The TIP Rural Electric Cooperative in Brooklyn has agreed to match that reward, for a total of $2,000. 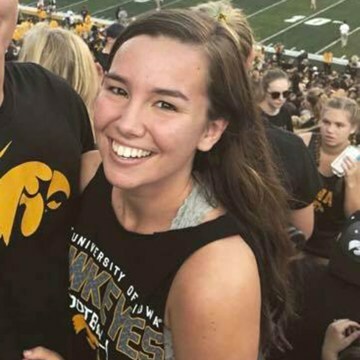 Mollie Tibbetts is described as being 5’2” and weighing approximately 120 lbs., with brown hair and brown eyes. She was last seen wearing dark-colored running shorts, a pink sports top and running shoes, color unknown. If you have any information related to Mollie’s disappearance, please call 800-452-1111 or 515-223-1400. You can also email the Poweshiek Sheriff’s Office at tips@poweshiekcosheriff.com. If you have a missing friend or family member, send a private message to Dateline NBC on our Facebook page and tell us your story. We may feature the person’s case in our Missing in America or Cold Case Spotlight series. Editor’s note: This article has been updated to include Mollie’s family’s announcement of a $30,000 reward for her safe return. It has also been updated to include interviews with Mollie’s friends Hope Beck and Alexis Lynd-Schafbuch.